Four new jobs have been created at an expanding Wyre Forest IT and business software provider. Kidderminster firm Minster Micro Computers Ltd has welcomed new staff in sales, administration, finance and human resources to meet demand on the back of ongoing contract wins and a sustained period of growth. Emily Gaden has joined the Worcester Road company as finance and HR assistant manager, looking after the firm’s day to day finances and leading a variety of personnel-related projects. Paul Taylor brings 16 years’ experience in ERP system sales to his role as new business sales manager and is joined by account manager Nathan Rowe, who’s background is in IT system sales. Both will support existing Minster clients on a daily basis. The firm’s final appointment is Lynsey Tutin who joins as Minster’s sales and contract support administrator, working closely with the sales team and acting as a daily point of contact for clients. The appointments at the Kidderminster company, which has also invested further in its award-winning apprenticeship scheme this year, have contributed to a 25 per cent increase in its workforce since 2014. 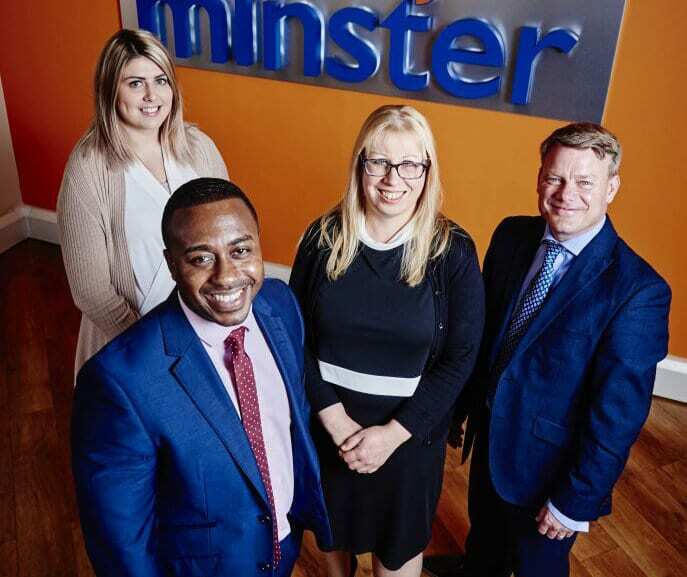 Susan Marlow, director at Minster, said: “It has been a really successful period for us and we want to build on our growth and expand further. “To do that we need to recruit talented and experienced people from the local area. Emily, Paul, Nathan and Lynsey are tremendous additions to our team and have the quality and skills we need for the future.